An article recently published by Gerry Chen, Director of Trade Engagement at the World Gold Council (WGC), analyses the potential for growth in China’s jewellery market and concludes by adding some proposals for progress. According to Chen, China’s jewellery market is the largest in the world, “accounting for 30% of global demand”. Unfortunately, it is a market in flux. While demand reached its peak in 2013, the market declined in subsequent years, “leaving the sector with too many stores, excess capacity and fierce price competition”. As a result, jewelers focused on boosting their appeal to younger consumers “through a more diverse product mix and a deeper digital presence”, with encouraging results. Jewellery demand grew in 2017 for the first time since 2013. Growth, claims Chen, “should continue, provided the industry continues to innovate and adapt to changing consumer tastes”. First, Chen says, consumer preferences differ from one region to another. Diamond and platinum jewellery is almost as popular as gold products in several cities, while in other regions consumers tend to buy high carat, heavy gold jewellery for wealth preservation purposes. Second, preferences vary from one generation to another. For example, millennials are far more likely to spend their disposable income on technology or fashion than gold jewellery. Among older consumers, however, gold is still preferable. 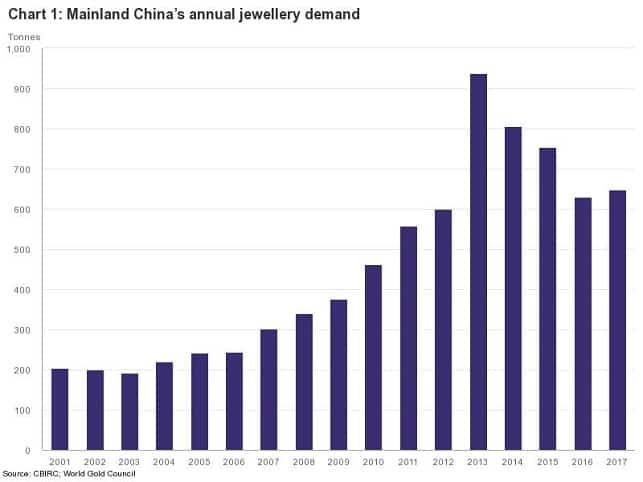 This represents an opportunity for gold jewelers, says Chen, and “China’s gold jewellery market needs to engage with urban dwellers and younger people if it is to continue to flourish”. As for online purchases, A WGC research shows that although around one-third of gold purchasers begin their journey online, only 4% go on to complete their purchase online. Smart jewelers, Chen says, are already leveraging online shopping festivals to drive sales offline. More retailers need to engage in online experiences, Chen urges, not only to drive sales but also to learn about consumer behavior. 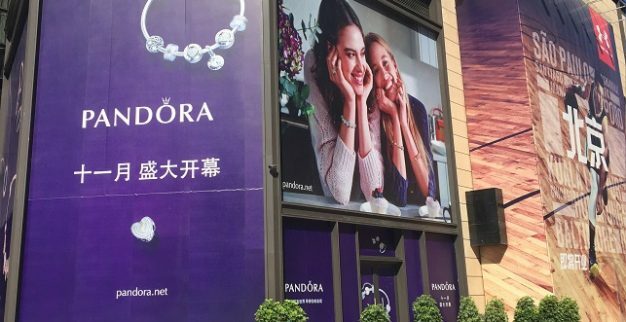 Looking ahead, Chen says, there are three areas of focus which can help the industry to drive sales: First, jewelers need to build brands that emotionally connect with consumers. Currently, “the industry is dominated by one-size-fits-all megastores, with little differentiation between brands, he says, and this should change. Second, retailers need to build trust by being open and transparent with customers by communicating to them exact product specifications. 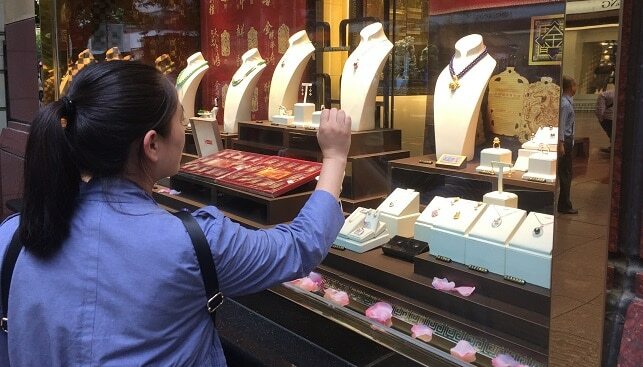 Third, retailers need to create more “buying occasions” and to fit the products to the occasion, such as 24-carat gold jewellery ahead of the Lunar New Year, weddings and births.